Whenever you are playing a pickup game of football, it doesn’t matter what you are actually wearing. But when you are playing in an official team on an International level, every single aspect of a team player is taken into consideration. For football, the rules and regulations of FIFA - International governing body of football need to be followed. A football comprises of the head to toe clothing - jersey, shorts, socks, cleats and shin guards. A uniform should reveal to which team a player belongs which becomes easy for the fans to recognize them easily. DRH Sports are one of the leading Football Uniform Manufacturers in Pakistan that are known for their premium quality and designs. Most of the football teams provide players with a jersey of its team color. A number is marked on the back of the jersey in order to identify each player. It can be short-sleeved and long-sleeved as well. The entire team member’s jersey is the same, but a goalkeeper's jersey must be of a different color from the rest of the team. It is always preferred to wear shorts made of lightweight material which gives a freedom of movement and do all your football moves. FIFA rules allow field players to wear an extra pair of shorts of the same color under the main shorts. An identification number of the player can be printed on the shorts. Goalies can wear long track pants. 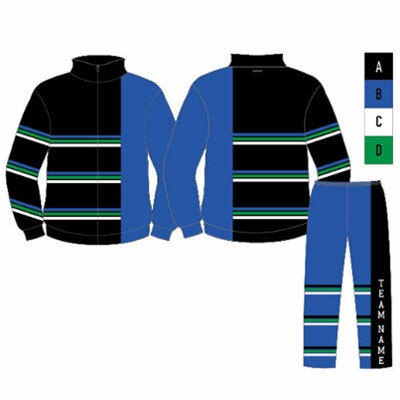 You can also check out the collection of DRH Sports which are Tracksuit Manufacturers in Pakistan. Whether it’s an International soccer match or soccer league for kids, socks and shin guards are required. Goalies are allowed to wear gloves and referee inspects the players before a game. Football or soccer cleats are specially designed for traction and comfortable fitting. It ensures good control for the ball. Keep your uniform fresh and spotless & make a difference in the match!! !